I had the pleasure of being a speaker at Asbury Agile 2013 in Asbury Park last week. 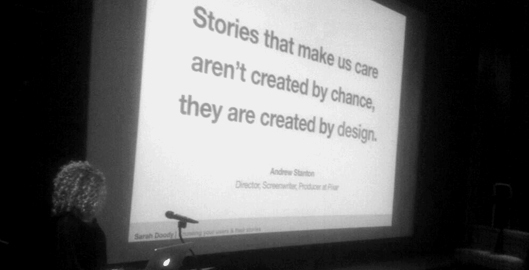 My talk focused on storytelling in product development. Now, I know storytelling is a bit of a buzzword and has reached cliché status. But, I wanted to dig a little bit deeper and see how we can use elements of storytelling not just as a way to talk to consumers about out product, but as a way to help the teams who create the products function more efficiently and create better products. I also wanted to acknowledge that many people would dismiss the idea that storytelling can add value. So, I talked a bit about the science of storytelling and the fact that our brains respond differently to fact and fiction. This helps us see how storytelling can have a lasting impact and help us experience things on a page that we may not be able to experience in real life — critical to developing a deep intimate understanding of the customers we’re creating products for. Let me know if you have any questions about any of these ideas or the content in the presentation!